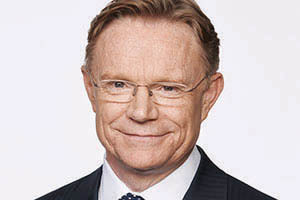 Mike Munro AM is an Australian broadcasting icon. 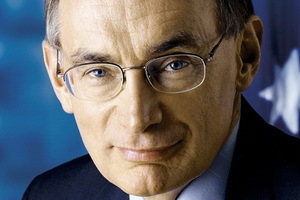 His decades of authentic reporting have made him one of Australia’s most trusted and respected media figures. Though his name is synonymous with the very highest calibre of TV journalism, Mike actually started his career spending twelve years in newspapers around the globe. After joining Channel Ten News he became a reporter on 60 Minutes. He went on to host programs like A Current Affair and This is Your Life on the Nine Network and Sunday Night on the Seven Network. 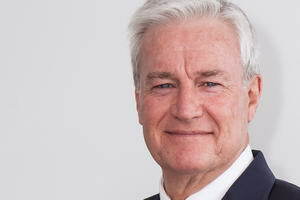 In 2014, Mike was made a member of the Order of Australia in the Queen’s birthday honours list for his charity work and contribution to journalism. In 2017 Mike produced and hosted the documentary Lawless — The Real Bushrangers with the History channel on Foxtel. Mike is related to the last bushrangers in Australian history. Mike Munro had the audience enthralled with details of a part of his life that was largely unknown to them. An engaging speaker who went out of his way to make sure everyone in attendance had a chance to meet and speak with him after his presentation. After decades in front of the camera as one of the most trusted and highly respected media figures in Australia, Mike Munro delivers the ultimate media training presentation. The intensive training provides the perfect mixture of practical skills with the wisdom of experience for trainees to be comfortable and confident in any media environment. Mike keeps the presentations highly stimulating and focussed with maximum take-home value. For instance, key skills include everything from how to deliver and structure messages tailored for the media, how to handle confronting interview questions and difficult situations, to how to stay on message, and then how to adapt according to an audience. From the master interviewer comes incisive and practical lessons on how to operate in the media. As expected, Mike was an outstanding presenter and kicked off our annual conference in the best possible way – emotive, engaging and creating a lasting feeling of connectedness amongst our delegates. The real surprise though was the very personal approach Mike took with our team in the creation of the content of his presentation. He was so down to earth and easy to work with – truly professional and yet very committed to helping us make the most of the opportunity. First class in every way! The conference was a huge success. Mike's presentation added greatly to the conference. His presentation was emotive and honest. You could have heard a pin drop as he shared his life's story with us. His sense of justice and strong ethical character was clear to everyone. Everyone was moved and there wasn&apos;t an eye without a tear. He is one of the strongest examples of resilience that I could ever hope to meet. From where he started, to what he accomplished, no blame for his mother, just love and sadness at what she lost - he is an amazing man. Mike was one of the most professional and delightful people that I have worked with. He is kind, understanding yet always maintains his professionalism. Mike was so obliging and we have had excellent feedback on his speech and his mannerisms, in particular the way he mixed with the guests and did not mind his photo being taken, constantly! Mike was fabulous! I think it's safe to say that everyone fell in love with Mike on the night! His story was extremely touching and I heard quite a few people in the audience remark on being able to relate to his story and finding him and inspiration and such a beautiful, genuine person. Our deepest thanks to Mike for sharing his time and story with us! We've had nothing but positive feedback of the evening. Mike was a definite highlight of our conference. Our delegates were absolutely captivated as Mike took them on the journey of our company in the forever classic 'This is your life' style. His research and building of the presentation prior to the event was the major reason for its successful execution. His wiliness to mingle and integrate with our delegates and his professional manner means one would have no hesitation in recommending him. Our thanks and appreciation to him. Our choice of Mike Munro for our event was a huge success. This is mainly due to the efforts of Mike himself. He came very well prepared having discovered some research that is most relevant to our business and our event. He opened by presenting the research results as they applied to us and then led into his own story. He drew a very appropriate parallel between his own story and that of some of the people who we assist to find meaningful work. Mike was most generous with his time. Without any prompting he headed over to a table of journalists who were all just delighted to meet him and share experiences. Additionally Mike spent a great deal of time with many people with disabilities, posing for photos with them and answering all their questions. The way he engaged with everyone on the night was amazing. So too is Mikes own story of his journey and his triumph over early disadvantage – very inspiring. We are very grateful to Mike for his involvement in our Job Shadow night gala dinner, frankly he made for us. 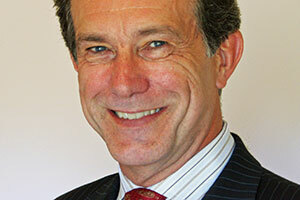 We thoroughly recommend Mike as a speaker, he is extremely versatile and very engaging. We would like to thank you for hosting this very important occasion on behalf of our profession. Your professionalism shined throughout the evening and made it an event to remember for all who attending. I cannot thank you enough for making my job easier on the night and ensuring the night tracked to plan with military precision. I would not think twice about recommending your services. We have only received positive feedback on the night and this was followed up by numerous phone calls and emails following the event. I hope you enjoyed the evening as much as the rest of our guests.